“This is plagiarism at its worst! You did not create this!” recently wrote one of my readers. The reader was referring to a Friday column, “Jesus: The King of Kings” where I shared a part of the sermon from S. M. Lockridge, “He’s My King.” He was a famous African-American preacher who retired in 1993 and died in 2000. So, it’s been a little more than 7 years since she heard the sermon, if indeed he was the one she heard. However, there just one problem with her reprimand. I did give credit to Lockridge in the post. In the very first paragraph! I’m not sure how she missed that. But maybe she just saw the text and skipped over the introduction that acknowledged my source. Whatever the reason, it reminded me of a statement made by the late James R. Cope, “The only exercise some folks get is jumping to conclusions.” I suppose, we’ve all been guilty of this at one time or another. 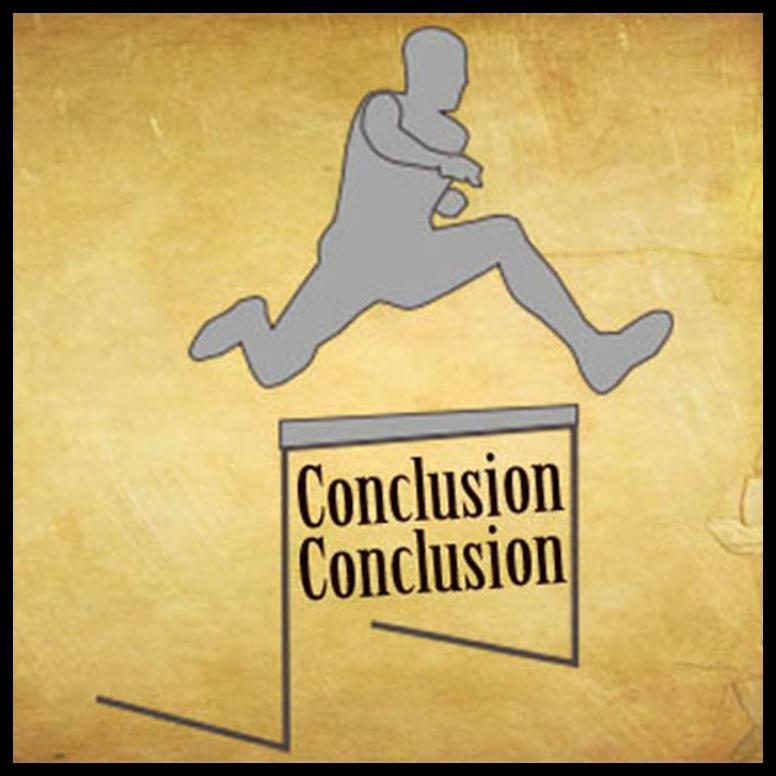 Jumping to conclusions (JTC) is a communication problem that occurs when one makes a judgement without all the facts, or in their impetuosity overlook the facts and reach an unwarranted conclusion. Sometimes in our haste we just get ahead of ourselves. And the facts. We assume, presume, and then boom; we blow something all out of proportion. The apostle Paul wrote about a similar problem, warning Timothy about those guilty of “evil surmisings” (1 Tim. 6:4). JTC sometimes occurs when a person makes a false assumption about something they have witnessed. For instance, I once knew a Christian man who frequented a bar every day during work. It would have been accurate to say that “I saw a brother coming out of a local bar.” An incorrect conclusion might be drawn, by failing to realize he was a mail carrier. JTC leads to evil suspicions about something that has a logical, legitimate explanation. Of course, the problem may be a deep seated prejudice that leads to JTC. As the British poet Alexander Pope put it, “All looks yellow to the jaundiced eye.” Attitudes of envy, jealousy and mistrust are often the seeds of an evil suspicion and result in JTC. JTC can occur in marriages when we fail to really listen to our spouse. It happens in churches when brethren ignore James’ admonition “Let every person be quick to hear, slow to speak, slow to anger” (Jas 1:19). And it takes place among friends who are rash and reckless with their words (Prov. 12:18). When I think about JTC, I’m reminded of the couple who lived in upstate New York, who decided to move to Florida to get away from the cold weather. The husband left a bit early and drove down with their stuff while the wife was finishing up things in New York. When he arrived he sent her an email to let her know he was there, but he typed in the wrong address and instead his e-mail went to a lady in Iowa, who had just buried her minister husband the day before. Dearest darling. Just wanted you to know I arrived safely. Looking forward to you being with me tomorrow. Signed, Your husband. PS: It sure is hot down here. Be careful. JTC can lead to completely erroneous judgements. Timely, and well put, Ken. I had real issue with people assuming badly of our family. Since they had no experience with families with children with MULTIPLE SERIOUS medical issues, they assumed lying when said no way for youngest to be at church. Since youngest couldn’t mother couldn’t. Since mother one trained to care for son in emergency (father worked full time), she couldn’t rotate parental duty. People assumed her faith failing. Just son’s life was in danger. Over and over assumption led to wife feeling hurt by church family. Sad.